Surround yourself in Whistler. 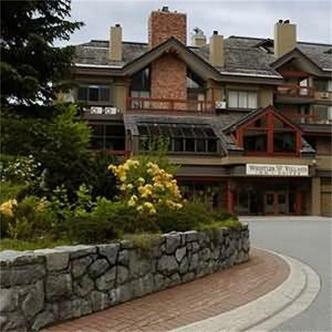 Welcome to the Whistler Village Inn and Suites, your mountain retreat in the heart of Whistler. Our convenient location puts you just steps away from gondola access for either Whistler or the Blackcomb Mountains. Shop until you drop or explore an international menu from a variety of first class restaurants, all of this is right outside our doors. Our condominium style hotel offers suites equipped with kitchens, fireplaces and balconies. Enjoy complimentary breakfast and unwind in our pool, hot tub and sauna after an exhilarating day in the outdoors. Complimentary Continental breakfast..in room coffee/tea, athletic trainning centre, use of pools, and use of poolside b-b-qs.Early Check-in Charges: Check ins prior to 3:00PM, $50.00/ Half day chargeLate Check-out Charges:Full Stay, without proper cancellation 'Primary Location' is defined as the major metropolitan area in which your property is located. 'Primary Airport' is defined as the most common airport used to reach your area. 'Secondary Airport' is defined as a major airport, but not the most frequently used to reach your area.Always reference your property to the town you are in.Please supply directions from hotel to area points of interest. Use major streets and highways with exact directions (N/S/E/W). Exit numbers are very important.Directions regarding airports should be from the airport to the hotel.You are not required to use all of the spaces provided. But it is recommended that you provide at least 16 references to your area.Provide written directions in the clearest possible format.